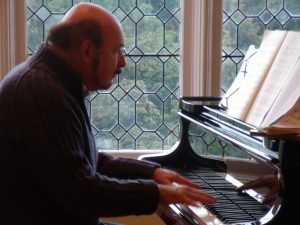 An easily spoken injunction to a piano student, and often well justified, given that most piano students, at least sometimes, don’t take note of dynamics, tempo markings and so on. “Why doesn’t he play what’s written?” – an outburst after a well-known virtuoso on the radio has just given an odd rendition of a well-known piece. Just WHAT did the composer write? When I was a child, studying the piano in Argentina, there was no such thing as an Urtext: you studied your Bach or Mozart or Haydn from, for instance, Ricordi editions annotated and edited by eminent musicians such as Casella. A little later, I studied Beethoven sonatas in the Schnabel edition and Bach’s 48 in the Tovey. These were eminent musicians whose editions and suggestions therein were invaluable: I would not wish to have done without them. However, these great musicians often had no access to original source material or, indeed, to the best sources. When Mozart writes an f and then a p, how differentiated (i.e. extreme) is this to be? And when he writes Presto (officially ‘as fast as possible’), do we play as fast as possible for us, or do we take into account that life was much slower in Mozart’s day and that his presto was rather slower than ours? When Beethoven writes crescendo and, at the end of it, p – is that to be a sudden p? Claudio Arrau thought so and, furthermore, advocated a slight pause before the p (he told me so himself). Or do we not make it so extreme at the end of the crescendo and melt into the p? When Chopin writes, in one of his great Nocturnes, a passage in small notes which is to be fitted in with the accompanying left hand – do we play those as fast as possible, so as not to have to slow down the left hand, or do we take time to make them as beautiful and melodic as possible and make the left hand wait? In each case, I am playing what is written, but much depends on how I READ what is written. Having established, at least to our satisfaction, what is written or MEANT by what is written – what about what is NOT written because it could not be? Is it really true that every quaver rest in a Beethoven movement is the same length as every other? I don’t think so. One has to look at groups of notes which belong together, phrases, periods, a bar which is slower because it is a link or a coda (these are just meagre examples). The composers whose texts we so greatly revere had a limited set of symbols to indicate their intentions and we have to fill out what is, in fact, not written, in order to clarify their intentions and give a creditable performance of their masterwork. 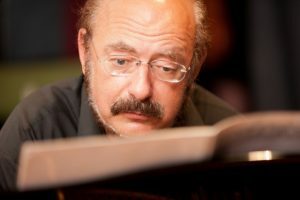 Not least, we must be aware of background information about what a composer may have said about interpretation of their works, or how they played. 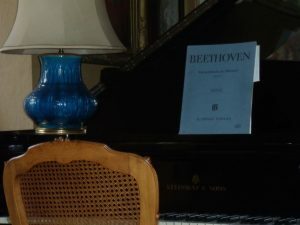 In Beethoven’s case, we know that he said that the initial tempo (of say, the Hammerklavier) does not apply through the whole movement, however much it is not written. So, play what is written and then, also, play what is not written: a mountain to climb and an unending task.